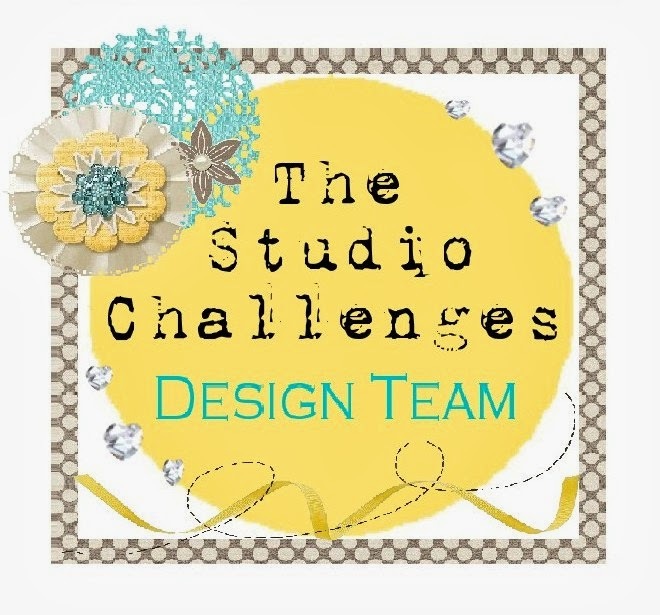 Today, we have a fun this or that challenge at the studio challenges for you! I used light yellow cardstock as my background. Then I smudged some gesso onto it and splattered some colors around (distress oxides: cracked pistachio and worn lipstick). The title is cut out with my cameo. Two of my photos fit perfectly into the letters. Then I handstitched around my title and traced the white letters with a black fineliner. sequins, heart, cardstock, flowers, stamps, twine, pink and girls! The stamps are from SF-stamps. Denise, I love this layout. The colors are so soft and beautiful and you've obtained wonderful texture and layers with all the different elements you've chosen. Thanks for playing along with us at Stick It Down. Ahhh! I LOVE your layout so much! You did an incredible job with our colours at CSI! I love your work! Such a beautiful page. Love the colors and how soft it looks. Thanks for joining us at Stick it Down. 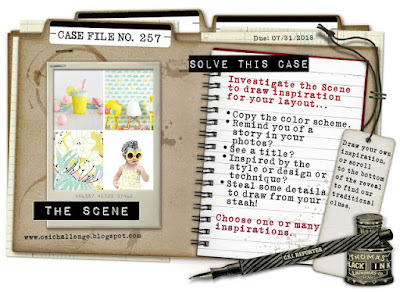 Love your title stitching & how you've incorporated the photos into it!! Great use of the colours as well! Thanks for joining us over at CSI!! Love your layout, your background is stunning and your colour palette is so fun. Thank you for playing along with us at Stick it down. Such a pretty layout. Love your big title. Thanks for playing along with us at Stick It Down. 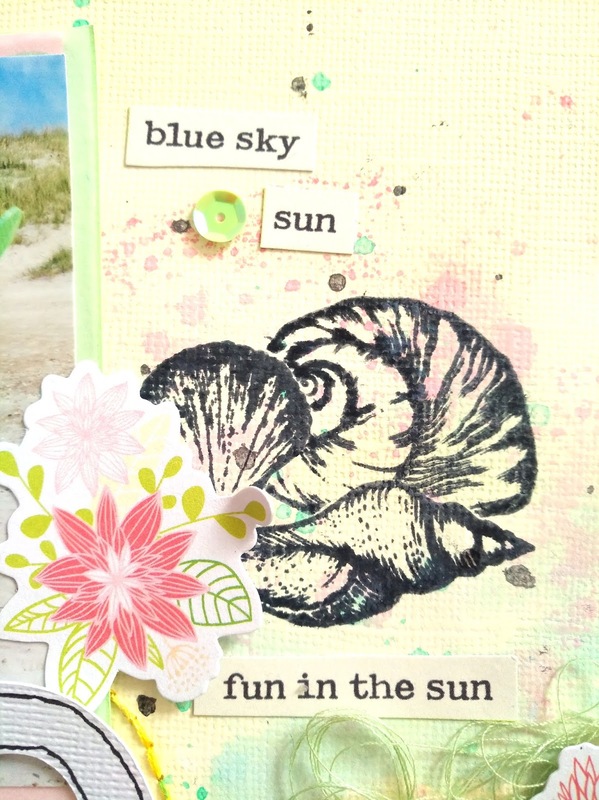 Love this layout Denise! I love the pale yellow and the placing of beach! Thanks for taking part! Beautiful layout Denise, I love the soft colours for a beach page. Thanks for joining us at Stick It Down. 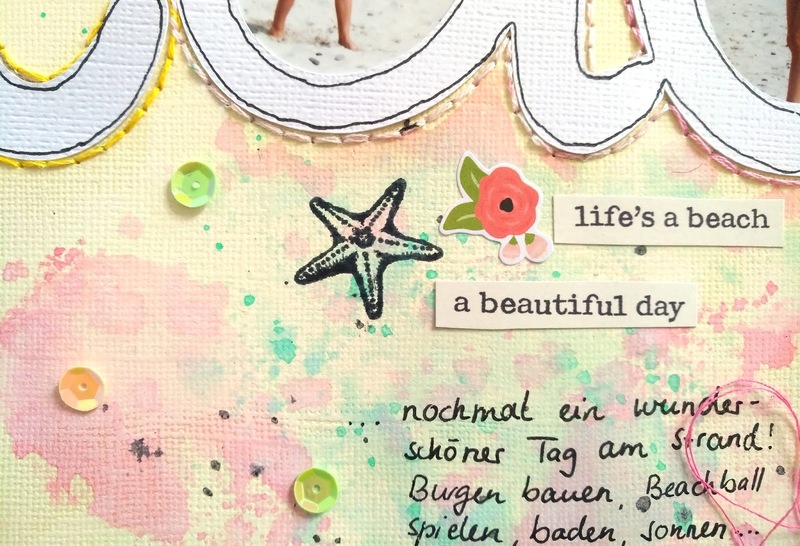 Awesome layout, live your painting, sequins and focal word! Thanks for playing aling with us at SID this month. Fantastic job with all those challenges! 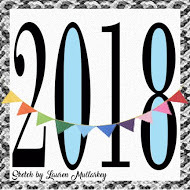 Love the great big title and how you've added photos to it, and the watercolor in the background is perfect! Just love this, Denise! So happy to have you playing with us at CSI!